The new seven-bearing pushrod unit (with hydraulic lifters) came in three variants: 149ci low-compression rated at 95hp, a standard 149 at 100hp and the 179 claiming 115 horses. Far more powerful than the four-bearing grey motor, it also claimed better fuel economy. It of course was eventually punched out to form the much-loved 202. Initially the 179 was only offered with the auto Hydra-Matic trans, which was regarded as strong if uninspiring. 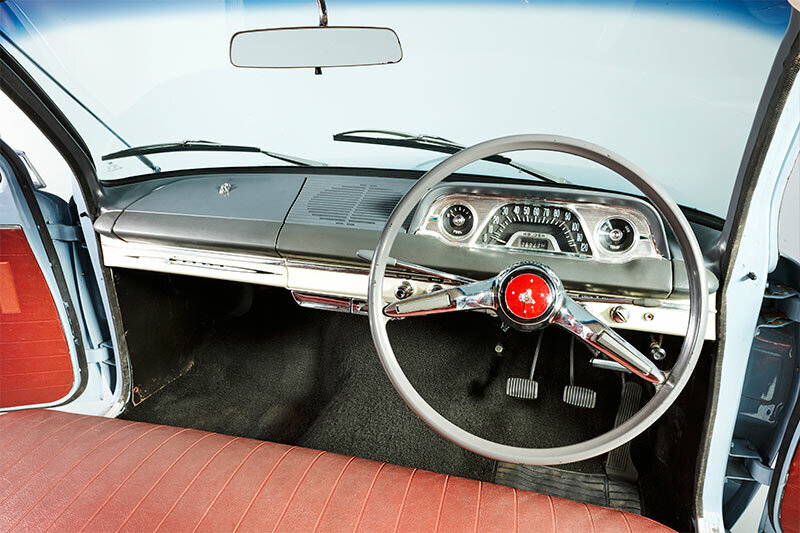 The three-speed manual transmissions had to be upgraded before GMH was happy to see them cut loose with the big engine. In its August 26 media release, GMH claimed 14 models across sedans, station wagons, utilities and panel vans. 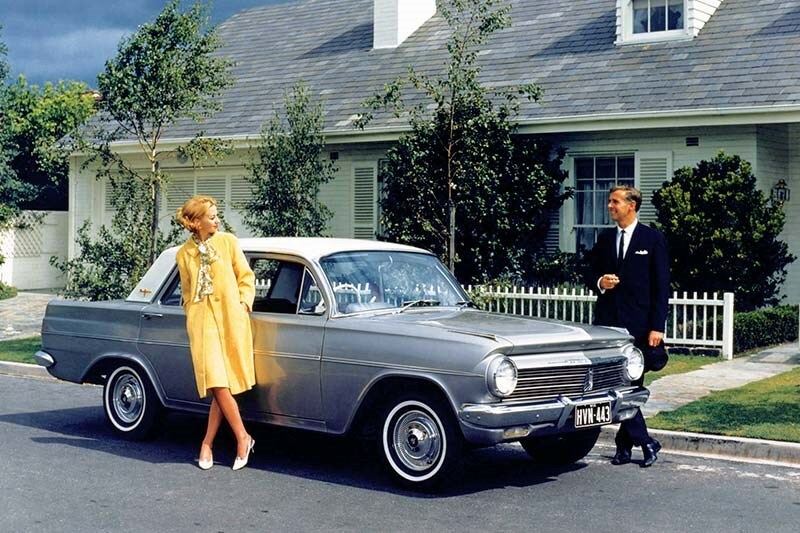 This was the first time a Premier badge was attached to a wagon and you could say niche marketing had truly arrived at Holden. 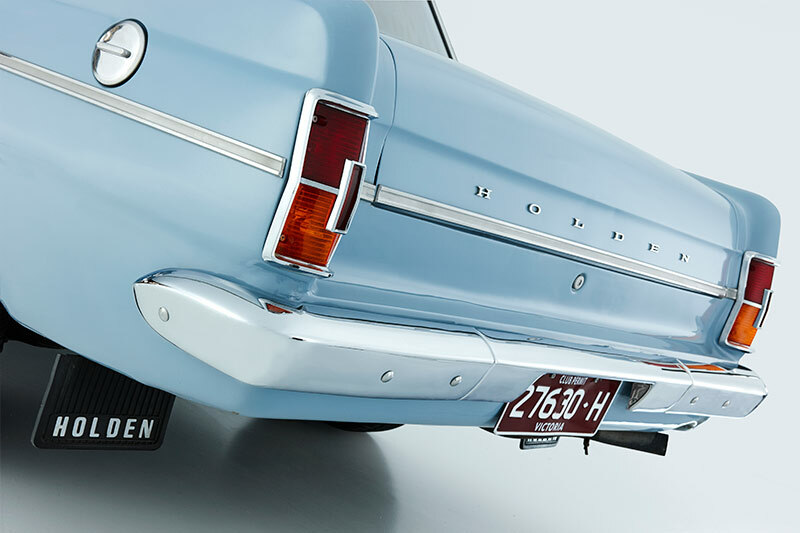 Though looking very similar to the EJ, there were numerous detail changes: the sedan tail was restyled and provided a little more boot space, grilles were changed, the sedans had different rear windows…the list goes on. Of course the ultimate version of the EH was the Premier. 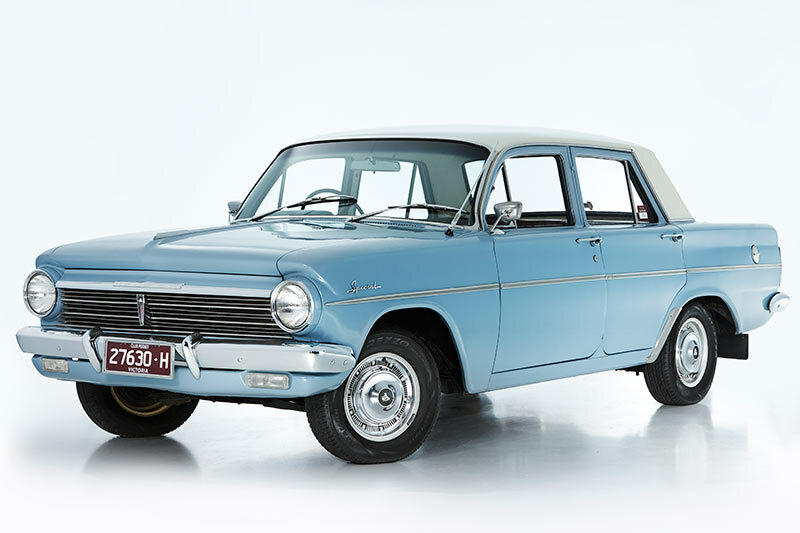 John Wright, Unique Cars mag contributor and one of Australia’s foremost motoring historians, sees this model as being hugely significant in its day. 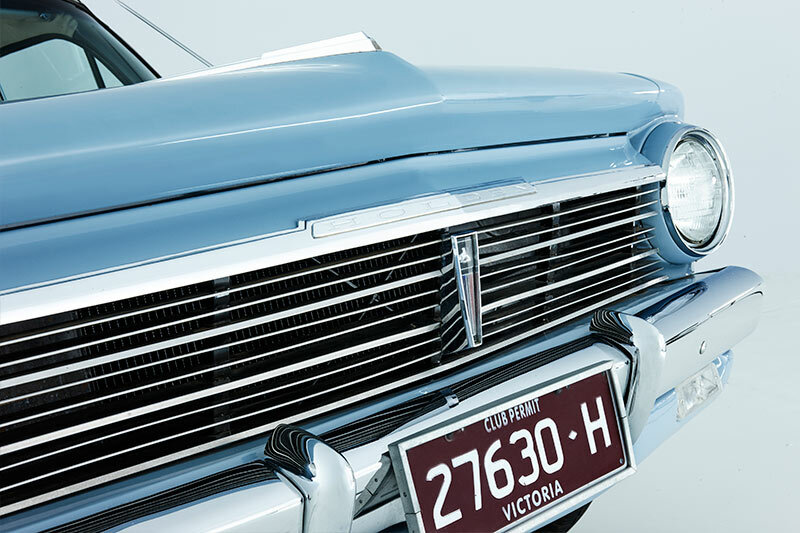 In Special – the untold story of Australia’s Holden, he wrote: "Here was a truly desirable machine – quick, beautifully trimmed and finished, tough in the Holden way, spacious and the height of 1963 elegance." 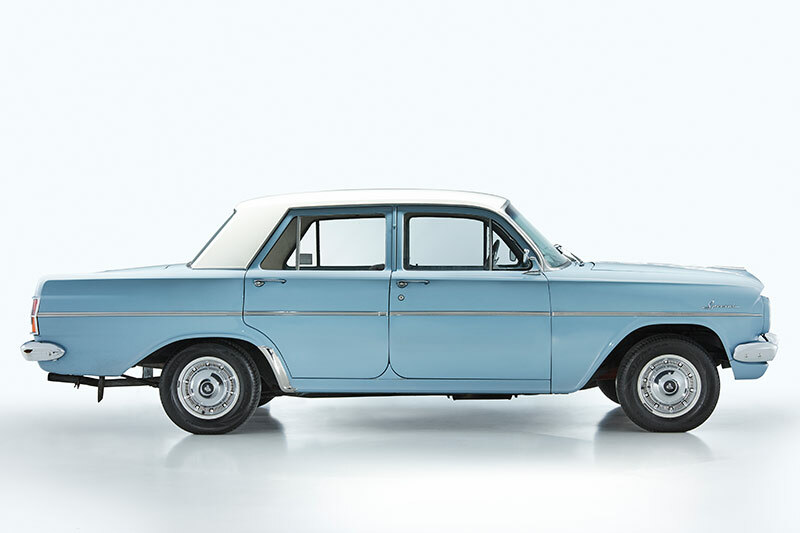 He goes on to highlight some of its appealing features such as the Howe leather used to trim the interior, the metallic (‘iridescent’) paint, the 179 chequered flag badges (a popular target for thieves) and the manual transmission – only because it was so much more lively than the Hydra-Matic auto. While the Premiers are high on the desirability list, the pinnacle is GMH’s first-ever homologation special, the S4. Running the 179 mated to an upgraded driveline, it was designed to get on the front row of the local touring car championship and achieved just that. Of the six examples that joined the pack at Bathurst for the Armstrong 500 in 1963, it was the car driven by Ralph Sach and Frank Morgan which came second behind the Ford Cortina MkI GT driven by Bob Jane and Harry Firth. Though a lap down, it was a mighty effort. That was backed up with a second place in the 1964 touring car championships with Norm Beechey at the helm. If you suddenly want one, the term ‘homologation special’ should have rung alarms bells. Just 120 S4s were built, so good luck finding a real one for reasonable money. However, that’s no reason to lose hope. The EH series sold just shy of 270,000 units in its brief reign – so there should be enough left for you to find something special! EH Holdens are fast becoming an endangered species. 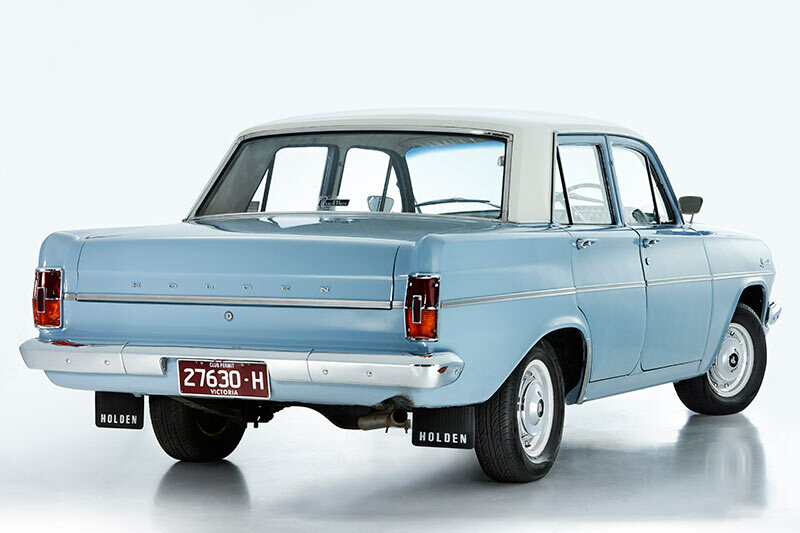 During the past half century many EH owners have undertaken ‘improvements’ ranging from bigger wheels and disc brakes all the way to wild body chops and V8 engine transplants. Cars that have been modified in ways that enhance their usable lives shouldn’t be penalised too harshly by the market, but wild customs are in strife and showroom-stock is still the best spec for investors to pursue. A Premier in authentic condition with its leather trim preserved or replaced will be the most costly EH (apart from the S4) to acquire. 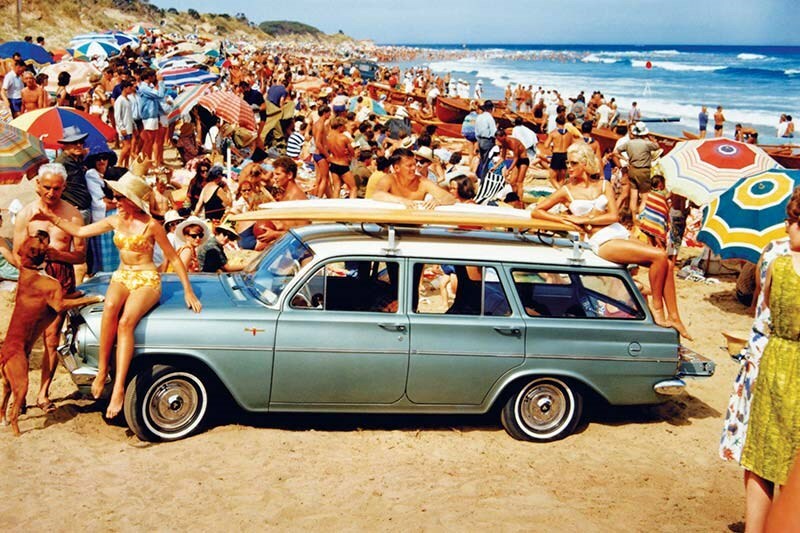 Exceptional cars now reach $50,000, with station wagons and three-speed manual versions most costly of all. 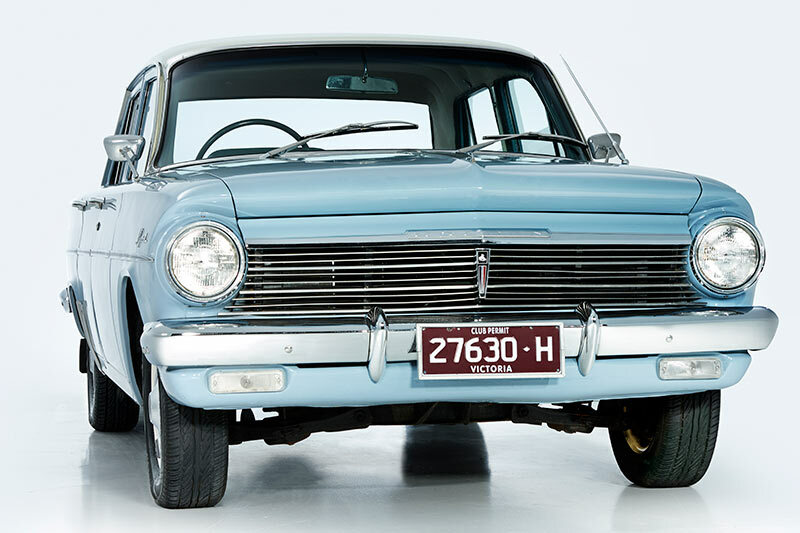 A Special or Standard with a non-original engine and rust will probably sell below $15,000 however any decent car with an original ‘179’ engine is likely to top $20,000. The vast majority of EHs in the market will have spent time in a panel shop and finding filler where metal should be is going to be almost unavoidable. 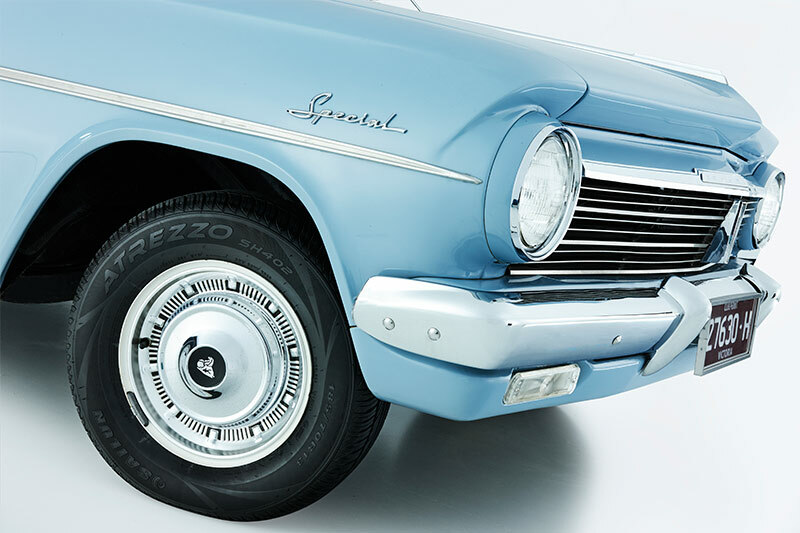 Places where you must be confident of having rust-free steel include all the floors, inner sills, sub-frame and rear spring mounts, around the front and rear windows and turret. Intact panel van sides without rust or window cut-outs are especially rare. Used EH panels could once be found in sheds everywhere but prices are climbing. New mudguards cost around $1500 a pair and body rubber kits range from $800-1500. 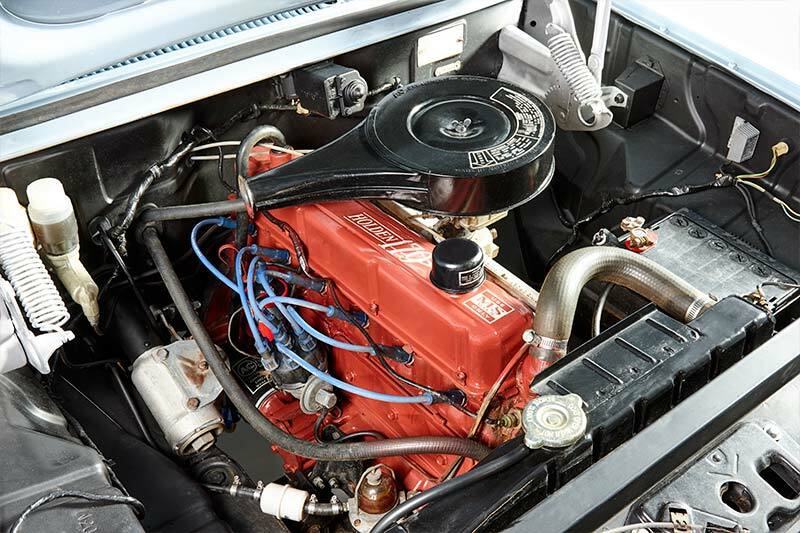 The ‘Red Six’ engine range that generated such excitement when the EH was launched is a simple but adaptable engine. They cope well with performance tuning, even turbocharging, or can be reconditioned to standard specification for just $3000. Be wary of oil leaking from the rear main bearing and ‘kettle’ sounds from a struggling cooling system. Even when everything was new the EH manual shift-lever could flap like the tail on an over-excited Labrador. Test that it doesn’t jump out of 2nd gear by accelerating then backing off a few times in quick succession. The Hydra-Matic auto was a slow old thing but dependable. Diffs are almost impossible to break but do whine if they run out of lubricant. Look for stains on the housing. Simplicity underpins the EH and there are seemingly no problems finding suspension parts. The steering when in good condition is most kindly described as ‘indirect’ and once wear sets in you can find 75mm of free play at the top of the big plastic wheel plus lots of clunks and rattles. Full kits of front-end repair parts including ball joints, idler arm and bushings come from various sources at $600-900. New front coil springs cost $200 per pair. Rear leaf springs flatten with age and sometimes completely crack. Brand new at around $1000 a pair, new rear springs aren’t cheap but make sense if you intend keeping the car. Disc front brake conversions are a good idea. Beyond the beckoning door of a basic EH lies.... well, not very much at all. 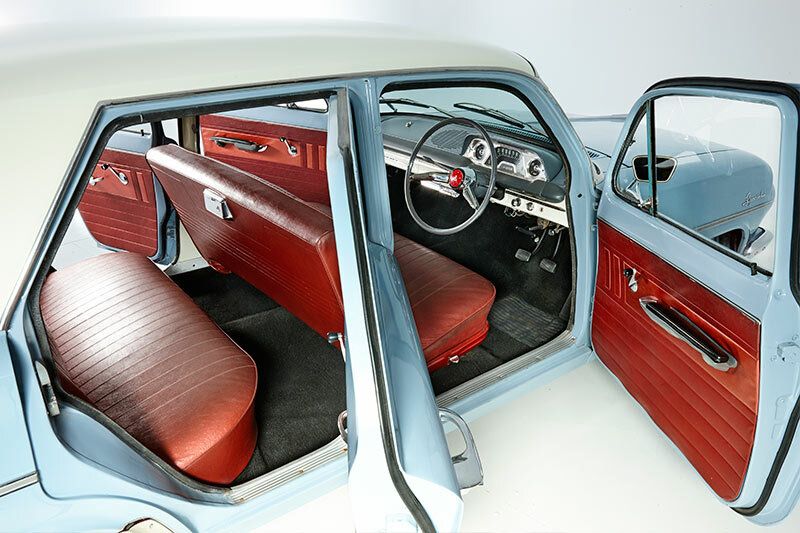 If you’ve picked a Premier and want to duplicate the authentic pleated leather upholstery that is going to involve a specialist motor trimmer and some thousands of bucks to pay the bill; but vinyl for your bench seat Special is still fairly easy to find. Minor repairs can be undertaken without replacing the entire cover. Electrics are very basic too, just be sure that the warning lights that signify low oil pressure or electrical issues do illuminate with the ignition. Otherwise they may have been disconnected. Electric wipers make these cars less horrific in the wet than previous vacuum models but a new wiper motor can cost $400.